With the application of IOMA Lip Lift as a treatment or makeup base, the lips look naturally luscious, younger, and more clearly defined. Your lips are full, outlined, and plumped, their edges are re-traced, smoothed out, and appear lifted. IOMA Lip Lift, with its creamy texture, immediately gives comfort and flexibility to the lips and their contour. Ensures long-term moisturizing by limiting imperceptible water loss. A hydroglycolic extract of Imperata cylindrica root, a tall grass native of South-East Asia. 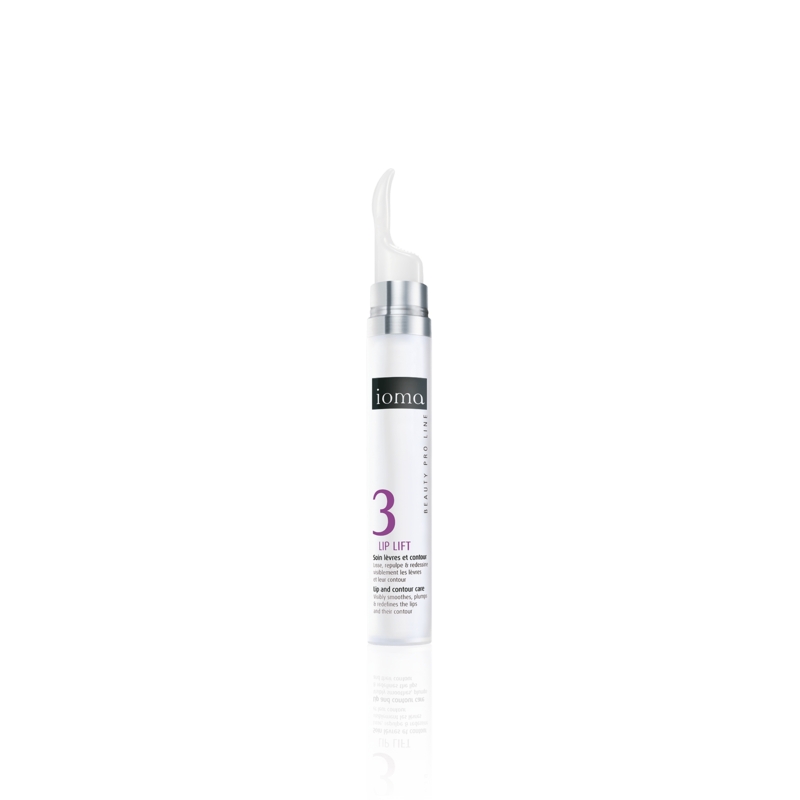 Creates water stores in the skin, like reservoirs, for an exceptional moisturising action. For optimal results apply IOMA Lip Lift morning and night to lips and their contour. With its exclusive lip applicator, apply the exact treatment dose on the concerned area. If you prefer a fast and global application, apply directly with the fingertip. Browse our selection of recommended products with Lip LiftI personalize my Beauty ritual.